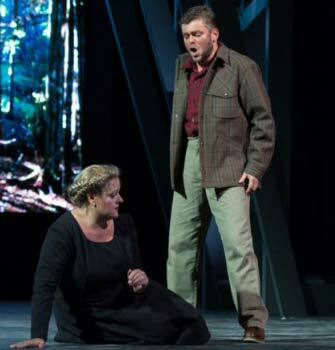 David Danholt won the First Prize at the 2014 Seattle Opera International Wagner Competition and the 2009 Reumert Talent Award. He studied at the Royal Academy of the Royal Theatre, Copenhagen, and completed his studies in a soloist class at the Royal Academy of Music, Copenhagen. A regular guest of the Jyske Opera since the start of his career, he sang NEMORINO, the title role in FAUST, DON OTTAVIO, TAMINO, IDOMENEO, ALFREDO, and his first Wagner roles: the STEERSMAN in “Der Fliegende Holländer” and YOUNG SAILOR & SHEPHERD in “Tristan und Isolde”. His engagements brought him to the most important major theatres and festivals. He sang the SS – OFFICER in “The Passenger”, both at the Bregenz Festival and the Teatro Real in Madrid (a production now available on Neos Blu Ray and DVD), ARINDAL in “Die Feen” and CLAUDIO “Das Liebesverbot” at the Leipzig Opera House, LYSANDER (A Midsummer Night’s Dream) and EURIMACO in “Il ritornod’Ulisse” at the Royal Danish Opera, ROBERT LANYON in “Dr Jekylls Advokat” with Den Fynske Opera or JENIK in “The Bartered Bride” at the Mainz State Theatre . 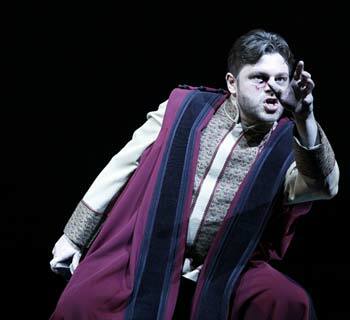 He made his UK debut as IDOMENEO with the Grange Park Opera and sang ARINDAL for the Chelsea Opera Group. Recently, he returned to the UK to sing Carl Nielsen’s “Hymnus Amoris” with the Danish Radio Symphony Orchestra for his debut at the 2015 BBC Proms with Fabio Luisi. Among his current engagements his appearances at The Concertgebouw, Amsterdam, as BARON LUMMER in “Intermezzo” and ERIK in “Der Fliegende Holländer” at the Seattle Opera or the PRINCE in “Rusalka” at the Arizona Opera are particularly worth mentioning. Other engagements took the artist as ERIK to the Florentine Opera Company, as FLORESTAN in “Leonore” to the Buxton Festival Opera, as TOBIAS in “Tobias and the Angel” to the Bavarian Radio Ofrechestra,as TAMINO to Valdemars Castle Summer Opera, as EISENSTEIN and Carl Nielsen’s “Springtime” to Funen, as ACCURATO/ANDRE BYGNINGER to Den Fynske Opera. David Danholt is also a much sought-after concert singer. He performed a.o. Beethoven’s Symphony No. 9 and the Messiah with the Danish Radio Sinfonietta, Beethoven’s Symphony No. 9 with the Kristiansand Symphony Orchestra, Dvorak’s “Stabat Mater” with the Aarhus Symphony Orchestra, CANDIDE and ELIJAH with the Helsingborg Symphony Orchestra, Rued Langgard’s “Antichrist” at the Ribe Cathedral and Mozart’s “Requiem” with the Kristiansand Symphony Orchestra. David Danholt works with renowned conductors both in opera and concert, including Fabio Luisi, Carlo Rizzi, Nicholas Braithwaite, Nicholas Kraemer, Sebastian Lang-Lessing, Joseph Rescigno, Tobias Ringborg, Michael Schönwandt, Stefan Solyom, Constantin Trinks, Jin Wang, Hilary DavanWetton and Dominic Wheeler. Concert engagements include performances with orchestras such as the Danish Radio Symphony Orchestra, the Royal Philharmonic Orchestra, the Leipzig Chamber Orchestra, the Malmö Symphony Orchestra or the Orquestra Metropolitana from Lisboa a.m.o. In the season 16/17 his engagements include WALTER in “Die Passagierin” (Florida Grand Opera), ERIK in “Der Fliegende Holländer” at the Seattle Opera, FLORESTAN in “Leonore” at the Buxton Festival, the PRINCE in “Rusalka” at the Arizona Opera and ERIK at the Festival in Oberammergau. 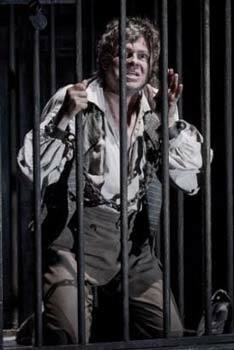 David Danholt also portrays ARNDT in “Der Ring des Polykrates” at the Dallas Opera and BARON LUMMER (Intermezzo) in the Concertgebouw Amsterdam. 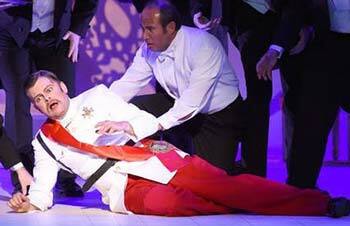 Moreover, he is ERIK in a festival production of „Der fliegende Holländer“ Oberammergau Passion Theatre. 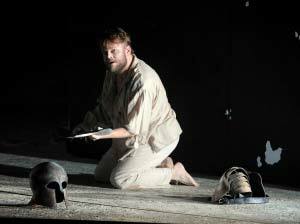 …as regards the art of phrasing and dramatic expression the danish tenor David Danholt iwas in no way inferior to him. 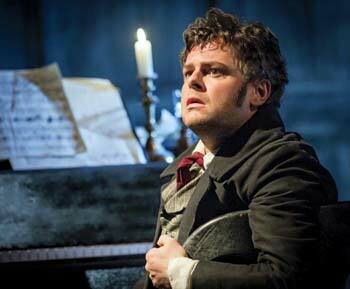 “In the title role David Danolt performs splendidly. 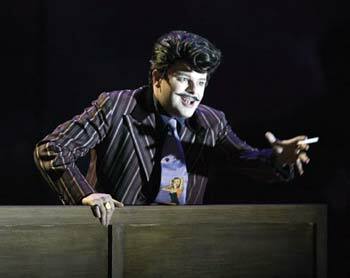 He has a pleasant bright and clear tenor voice and acts with great intensity. 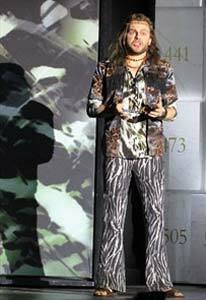 "…David Danholt copes convincingly with the grand demands of the title role."